What is the Best Drinking Water Test? If you are concerned about the quality of your drinking water, you are not alone. 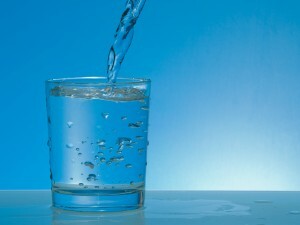 Many people are increasingly becoming aware of contaminants that affect the taste and odor of their drinking water. Even though municipal water must legally be safe to drink, it can still contain additives and extraneous particles that affect its taste and odor. For example, many cities add chlorine to the water to disinfect it, and to keep it disinfected as it passes through pipes to get to your home. Once the water enters your home, however, the chlorine is no longer needed. If you get your drinking water from a well, then there are other issues that may arise. Well water can be an environment where bacteria grow, which can lead to the development of iron or sulfur. If you notice a metallic or rotten egg taste in your drinking water, this could be due to elevated levels of iron or sulfur, respectively. The best way to test your drinking water is to have a knowledgeable professional come to your home and perform an in-home water test. RainSoft’s technicians are highly experienced, and are equipped with the tools to determine exactly what sort of contaminants are in your drinking water. Then, they can also recommend a drinking water system that can provide your home with better than bottle-quality water straight from the tap. What’s more, by having better quality drinking water, you will also find that foods and beverages prepared with the water taste better as well. To learn more, contact RainSoft today to schedule your complimentary in-home water test.